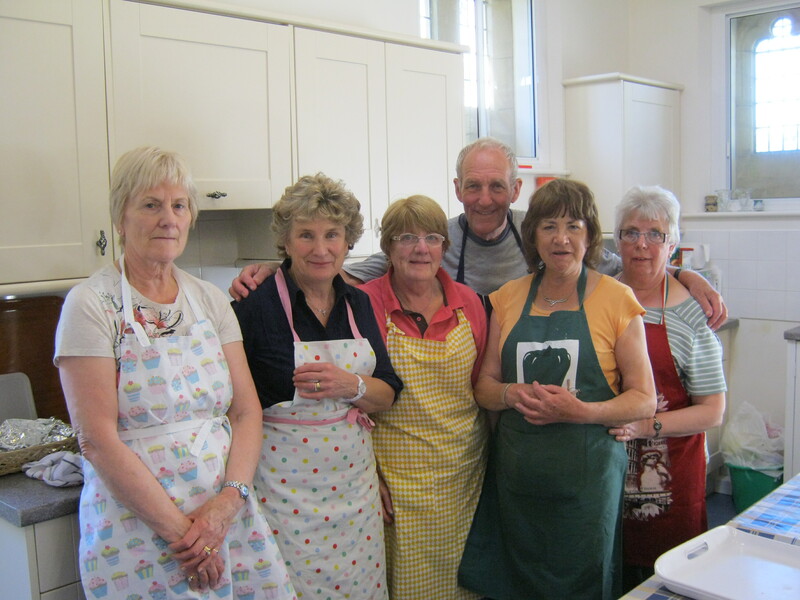 Welcome to St John the Baptist Church, the Parish Church of East Ayton in the Diocese Of York and part of the Church Of England. We are linked with St Martin’s Church of Seamer and St John the Baptist, Cayton in a joint benefice. Our Church building has graced the centre of the village since about 1150 (see the HISTORY link) but we are here to share the Christian Faith and tradition according to the needs of the twenty-first century. The Church is open on most weekdays from 8.30am until at least mid- afternoon for anyone to spend a quiet moment and we have a prayer box for prayer requests which will be honoured for seven days and can be renewed. Everyone is welcome to our services and activities so please look at this website which shows the place of our Church in the life of the local community. If you would like to have your children baptised here please start attending our Sunday services and fill out an application form. We ask you to attend at least twice before booking a baptism. We do hope you will come as often as possible afterwards. All parents and godparents must attend a baptism preparation course which lasts an hour. We have an informal chat together about what baptism means and what will happen on the day. Adults wishing to be baptised must attend church regularly and also attend our Christian Basics Course or an Alpha Course. If you live in another parish you must seek the permission and goodwill of your parish priest before you approach us about baptism. This is positioned opposite the door inside Church (cards on the shelf). If there is someone for whom you would like prayers to be said , please complete one of the request cards. To help keep up-to-date, a new prayer card should be filled in after 14 days. Our Parish magazine GRAPEVINE is published 6 times a year (annual subscription £3, or 50p per copy) and as well as detailed information about services and events contains a wide range of contributions. If you would like to have the magazine delivered, please contact as below. Each month we select a Bible reading, a sermon extract, article or prayer which has been use in one of our services and which has a particular message for us all at this time. 10am-12 noon every Thursday. Coffee newspapers and a chat. 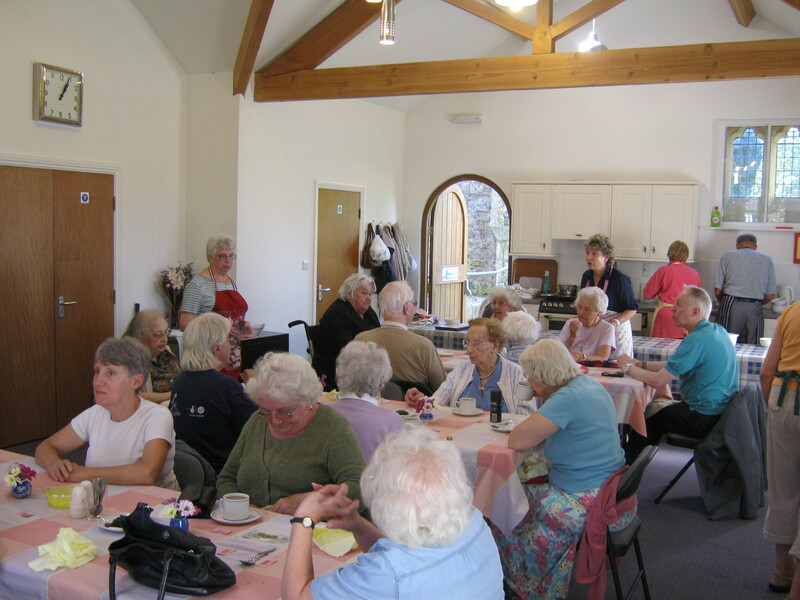 1st Tuesday from 12noon onwards-an opportunity for elderly members of the community to come together for a three-course lunch for £3 in the Church Room. Some restriction on number from the aspect of catering so please ring Christine. 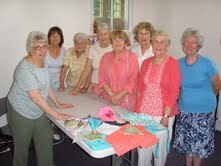 The Group meets on the 2nd Tuesday in the month to arrange to make things for the Summer Fair and the Christmas Fair. We meet from 10am–12noon. 2nd and 4th Wednesday of the month. 10am in the Church Room. For Mums, Dads, Grandparents, Carers to bring along under school age children for play and an opportunity for a chat and a drink.